The Inceptive EP is the second release from Magique Music, a forward thinking musical platform supporting the deeper and darker sounds of electronica, house and techno. 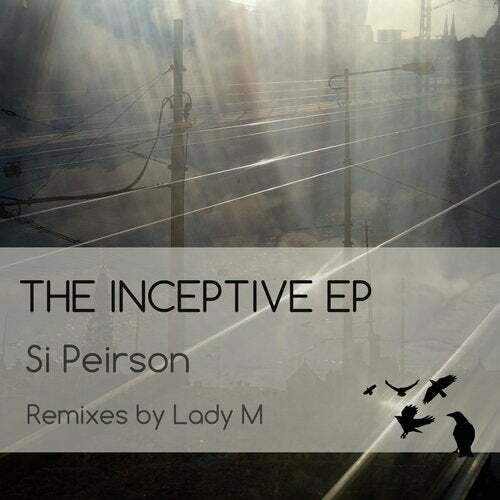 This digital release is a 4 track EP featuring original tracks from Si Peirson and remixes from Lady M.
Si Peirson was a stalwart on the South African music scene for many years, being the original DJ at Truth in Johannesburg with residencies at the infamous GASS and Therapy nights. Peirson's productions have been equally impressive with his first 12' licensed by Sony and selling out in major record shops in South Africa and London. On the strength of his early releases he was invited to work at the legendary Phonica Records in London and today he is now settled in Tel Aviv focusing on production. 'Sleet' marks the A side of the release and is a thumping techno track with maximum groove and bounce. 'I Am You' is a classic deep house number with an overlaying vocal and warm bassline that makes for a contrasting and complimenting B side.